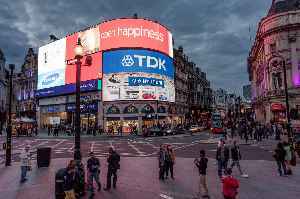 Piccadilly Circus is a road junction and public space of London's West End in the City of Westminster. It was built in 1819 to connect Regent Street with Piccadilly. In this context, a circus, from the Latin word meaning "circle", is a round open space at a street junction. 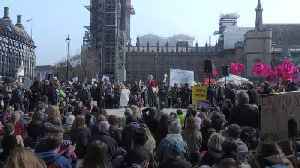 The campaign group Extinction Rebellion leads a a global campaign demanding that the Government declares a climate emergency. Protesters set up camps and roadblocks at Marble Arch, Oxford Circus,..